Kelway Law was founded in 1994 by Adrian Law working from our first office in London Road, Hindhead. Since 1994 we have grown adding offices at two more key locations in Haslemere and Liphook, providing you with unparalleled coverage across Surrey, Sussex and Hampshire. Adrian has been an estate agent since 1987. In 1994 he opened the first Kelway Law office, in Hindhead. He lives in Beacon Hill with his wife Isabelle, their son Guillaume and daughter Charlotte. When not at work Adrian is a keen supporter of the Tuberous Sclerosis Association* (Guillaume has the condition) and, as a season ticket holder, does his best to get away to watch Wolverhampton Wanderers whenever he can. 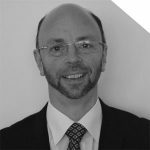 Franco started in estate agency in Guildford back in 1988, and joined Kelway Law in 1997. Since then he has had extensive estate agency experience successfully selling houses in the Haslemere, Hindhead and Liphook areas. 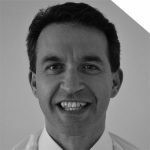 Franco grew up in Guildford but has lived in the Hindhead and Haslemere areas for several years with his family and dog. Outside of Estate Agency when not ferrying his son to his many sporting activities, he may fit in the occasional round of golf. 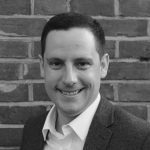 Since joining the team 2005 John has progressed through the ranks and is now your first port of call if you’re looking to sell or let your property. Living in Liphook with his wife Nina and daughter Ava he is a keen hill walker and tries to spend as much time ticking through Wainwrights in the Lake District, when not there he’s involved in the Army Cadet Force as an adult instructor. 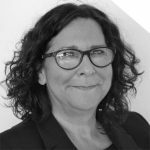 Diana works part time and is one of our longer serving members of staff having started working for Kelway Law in 1998 before the birth of her son, and then returning in January 2013. 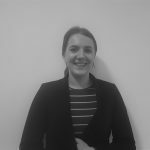 She has lived locally for a number of years and has worked within our lettings and sales departments, so has a wealth of experience ready to help those looking to move. Out of work you can mostly find her pitch side in all weathers supporting her son at a variety of sporting activities including cricket, rugby and hockey. She enjoys walking her Cocker Spaniel in Hindhead and Frensham Ponds. 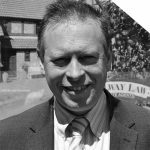 Ken has been in the property business since 1975 and brings a wealth of experience to the team having held various positions throughout the industry including a surveyor, residential agent, and a valuer. Now an integral member of our lettings team, Ken is an experienced inventory clerk undertaking check ins/outs and periodic inspections on rental properties. In addition, he is also a Domestic Energy Assessor. Having spent most of his life living in Farnham, Ken has an extensive knowledge of the area having also worked in Winchester and Guildford. He has been married for over 30 years, has a daughter and a son and is keen on most sports, having previously played football and cricket. 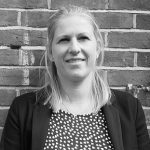 Alicia lives in Liphook with her partner and twin boys after moving to the area in 2015 from Milford, and joined the Kelway Law team in July 2016. Alicia previously worked in the events industry and has extensive customer service experience, she deals with all the admin duties across all three branches of Kelway Law which include updating the internet and our social media. Outside of work, Alicia is kept busy looking after her children and tries to keep fit by Zumba classes when she gets the chance. 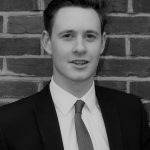 Matt joined the Kelway Law team in 2017 after studying the Public Services at Alton Collage. Outside of work Matt has trained as a Special Constable. Matt also enjoys playing hockey in Alton where he had played for twelve years before making the hard choice to give it up to put more time into his volunteering. Amy currently lives in Liphook and has lived around the area all her life. She has studied Beauty Therapy and also has a BTEC in Business level 3 from Alton College. Amy joined the team in March 2017. Outside of work, Amy enjoys dancing and has done so since the age of 11 and current favorites are Modern Jive and the Tango. Abigail was born in Haslemere and has lived her whole life there. Abi, as she prefers to be called loves horses and the outdoor life. She has a focus on health and well being and is found in the gym most evenings. 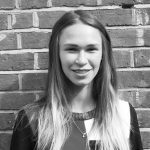 Abi is on the Property Management Team and is tasked with ensuring both our tenants and Landlords receive excellent service. 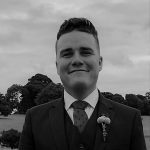 George has joined Kelway Law after starting his career working in hospitality, bringing a passion and zest for working with people George’s enthusiasm is infectious and has established himself as a key member of the team. Outside of work George is a keen sportsman having been part of Hampshire’s youth cricket sides and playing football locally. You will never be treated as just another house number. We recognise that without you, we don’t have a business. Knowing that it costs a vast amount to win a new customer, our focus is on getting the right result for you so you’ll want to recommend us to your family and friends. You won’t ever be passed from pillar to post around a faceless call centre. 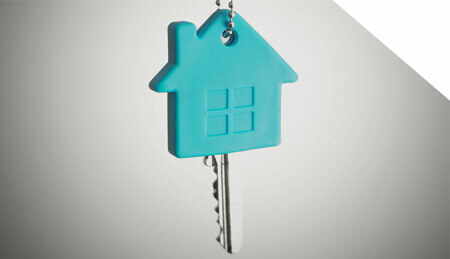 You can get someone on the phone straight away or arrange a visit from one of our property specialists. While you will have your specific contact, the rest of team will be aware of your situation and able to help. You won’t waste time on the irrelevant, so you will be able to get to the point quickly. You need to know what’s happening with your property. You won’t need to keep chasing us, you will be kept fully informed at all times. After every viewing you’ll get our opinion on how it went and any feedback from the buyers. Sometimes things do go wrong with the conveyancing process and you’ll benefit from having Kelway Law to support you all the way. Sadly in our industry, as with most others, occasionally there can be unexpected issues. We will work hard to your behalf to prevent any delays, however if there is nothing we can do, you won’t be left guessing what is happening. You will be kept informed at all times so you are always in a position to make any necessary arrangements. When it comes to an important decision, such as selecting an estate agent, you need to be certain you’re doing the right thing. When you contact Kelway Law, whether you’re selling, buying, letting or renting, you’ll notice we take the time to actually listen and really understand what you want to achieve before making a recommendation. Wouldn’t you rather deal with a long established, well respected and professional company? 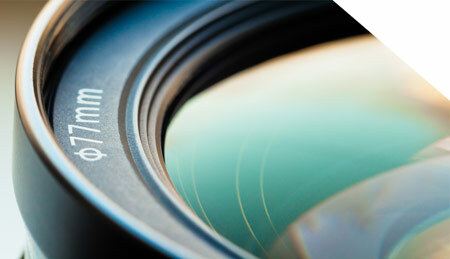 We keep up to date with every aspect of the property market… so you don’t have to. A wealth of experience built up over the years means you can take advantage of this collective knowledge ensuring you will get the answers you need quickly. How many times have you been passed back and forth when you contact a company? When you choose to do business with us, you’ll be able to talk to someone who know about you, your property and your situation. You won’t have to waste your time explaining everything each time, so you’ll get the answers you need quickly. If we say we’ll do something… we’ll do it. There is no point in making a promise knowing it can’t be kept. When you are making a long term investment you will soon find out if it isn’t what it seems. With Kelway Law you will always get an honest answer, even if it’s not what you want to hear or the answer we would prefer to give you. We don’t make false claims or over-price your property simply to gain your instruction. You can be certain that you will always be treated fairly. You’re far too important to us. We really welcome your feedback… a complaint is a gift! When everything is going well you can’t really judge how well a company is really looking after you. It’s only when something goes wrong that you get a chance to see how good the service really is and that’s when they get the opportunity to blow you away by really going the extra mile. So if you have a problem please don’t give it a second thought, get on the phone or send us an email and let us know all about it. You’ll be doing us a favour. If you’re not a property expert we can help you cut through the legal and technical jargon that’s often associated with buying, selling, letting or renting houses. This ensures you understand what’s going on, what you’re paying for and exactly what it’s all going to cost. Three things are key when it comes to selling a property – Location, Price and Condition. Sorry, there’s not much we can do about the location! Correct pricing is vital. Too high a price and your property will sit there and no-one will even bother to come and look round. Set the price too low and you could be losing thousands of pounds. The property market is difficult to understand at the best of times, so right now it’s crucial you choose an knowledgeable, experienced and realistic professional to help your realise the maximum potential from your home. You need an agent who will be honest, not over-price your home simply to gain your instruction but not price it too low either. Generally the better the condition of your property, the easier it is to sell. We help hundreds of people to sell their homes every year so we believe that gives us a good idea of what helps properties sell. You can tap into that knowledge and we are happy to give you all the advice you need. They say a picture is worth a thousand words… and these days with most people initially looking on-line for their new home, it’s never been more true. Forget the “good old days”, once you instruct us to market your property we’ll swing into action. 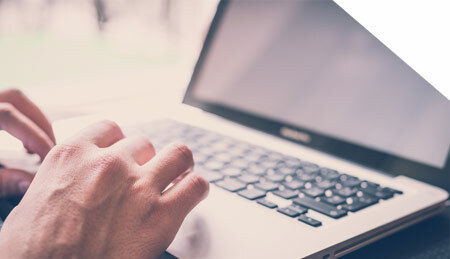 When you have agreed on the content, your details will be available to millions of potential buyers via the most popular property websites usually within 2-3 hours. That will include as many photos as necessary and full details, something that newspaper advertising simply cannot offer. Although nationally 80% of initial interest comes through the internet, that still leaves 20% of potential buyers who look for their new home the “old fashioned” way. That’s thousands and thousands of people, anyone of whom could be looking for a property just like yours. It’s for exactly that reason we maintain our offices and continue with newspaper advertising. With three offices in the area, Kelway Law ensure you get an unparalleled marketing effort. The people in our offices all work together. They’re not a bunch of individual businesses connected only by the name over the door. 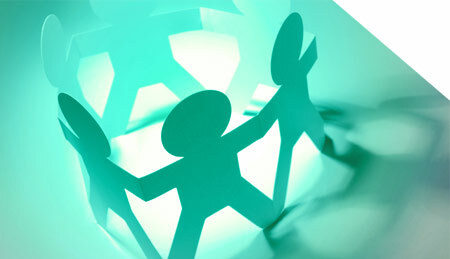 Kelway Law is one team, based in three locations.